Expected Release: 1st Quarter 2019. Date subject to change. 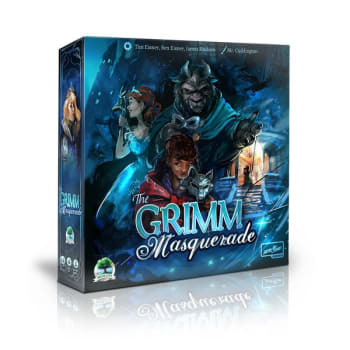 The Grimm Masquerade is a light strategic deduction game in the world of the Grimm Forest. Players take the roles of legendary fairy tale characters at the Beast's masquerade, and must deduce the identity of their opponents before their own identity is discovered.